Your sweetest addiction has just become even more irresistible. This artisan-crafted bronzer lovingly blends 200X black bronzers for the deepest bronze imaginable. Exclusive Double Dark Chocolate & Coffeeberry complex combines with the world's finest body butters- Marula & Argan for decadent skin with an unparalleled radiant color. So go ahead and spoil yourself, because some things in life are just too good to practice moderation. 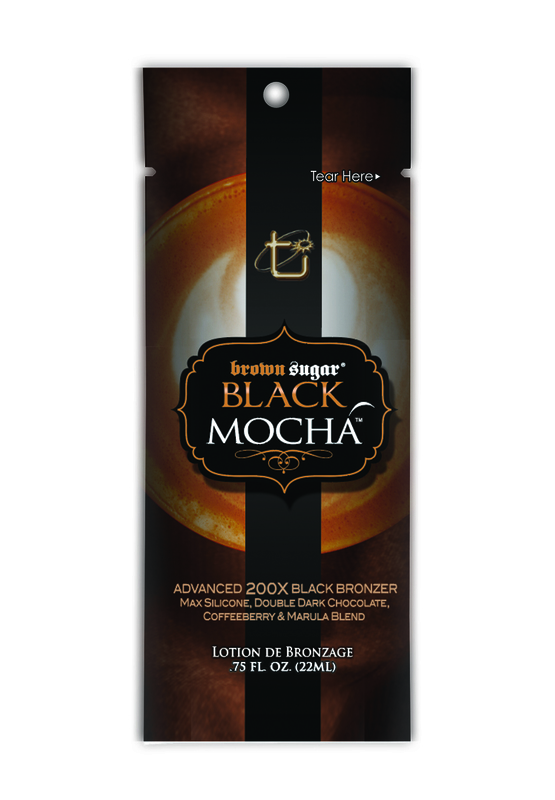 200X Black Bronzers are carefully crafted for your darkest tan yet. Double Dark Chocolate & Coffeeberry extracts nourish skin with potent antioxidants. Exquisite Marula, Argan, and Max Silicones melt into skin for an astonishing softness and glow.